No, seriously, I mean it this time! Yes, I know I said this when I'd sold 350 kits, but I kept getting orders and kept making kits, because I hate saying no to people. Now the total is 500 550 kits sold, and I have got to the end of the waiting list, and I really, really must stop sometime and do something else! There will be a final batch of 50 kits in January 2012 (or when I get 50 orders). There are still plenty of kits available in the final batch, and any extra pre-orders I receive will go on the waiting list, just in case I change my mind and do another one-off batch next year. Like last time, I fully agree this is some shameless self-promotion to boost sales so I can finish with my routine 50 kit batch and sell off all the PCBs and parts I have in stock. Any news on this, Wilba? I E-Mailed you a few weeks ago and hadn't heard anything. Would love to snag one from you. I understand the need for a break. You deserve it! Well, I guess another run can be warranted given that the miniaturized SwinSID is available now. I've been occupying myself by repairing dead C64s and have a nice stock of SIDs for this project and a future mb-6582. I pre-ordered a while ago but I've not heard from Wilba, does this mean I missed out on getting one? I really want to build this kit. He sent out order confirmations on the 16th January and invoiced me on Jan 31st. I'm all paid up and waiting with a pair of 8580R5s and a pair of 6581s to play with. I got a confirmation email January 5, but have not heard anything since. is this happening at all? I want to get one if possible please. I've been very busy lately and I have not replied to recent emails, sorry. Batch #23/#24 will be posted this week. Batch #25/#26 (potentially the absolute final batch ever) has 30 confirmed orders, and 20 empty places. It will be arranged soon. If you've emailed a pre-order recently, I'll reply ASAP. arrived today - thanks Jason. Need to go but some bits and pieces for my build then I'll get on it. Thanks Wilba! Now it's time to crank some tunes and get to soldering! Hi Wilba! I need two kits :rolleyes:. Send PM to you. I've put a sale request in on the appropriate thread for anyone looking to get an un-built kit from batch #21/#22 and 2x 8580R5's quick and potentially cheaper (not to under-cut you Wilba! I've recently been made redundant @ work & neither have the time to put into building it). Has the sammichSID reached the end? I have put in an order for one and have not heard any word. Got a couple of SID's sittin, looking for a good home! Thanks for any info! Same exact situation here! I'm worried these are gone for good. Hmm... Well, if you got SIDs waiting for a good home and sammich is gone - then all you have to do is to build it with modules instead. No problem at all. Same here... guessing I missed the boat? Joined forum looking for info on this. 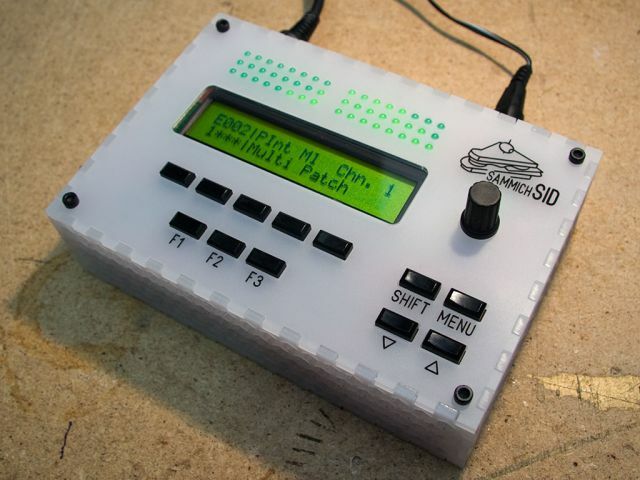 How much harder is the midibox SID to build i am guessing alot. If you are refering to the MB-6852, I would say it is very well documented and might take a bit longer because it has more components, but is not necessarily more difficult to build. 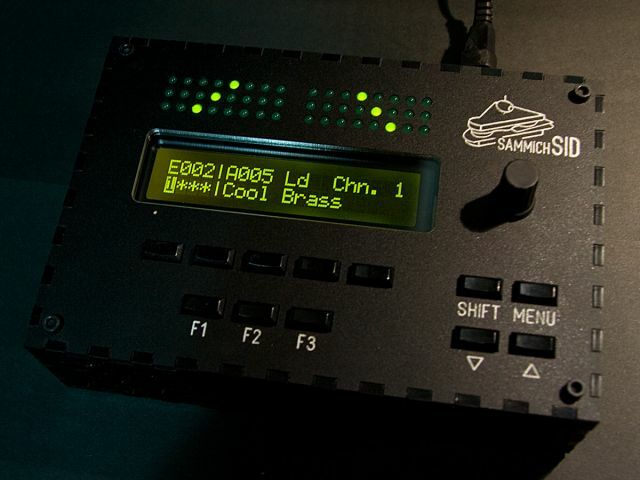 PCBs and semi-kits are available from SmashTV, as well as most other components necessary. After receiving many emails about sammichSID since the "final batch" finished, I decided to do two more batches. One batch I am doing right now and trying hard to get in the post so they arrive before Christmas. There are still kits from this batch available. The 2nd batch will probably happen next year sometime after I get close to 50 more pre-orders. So if you read this message, just contact me via my email address (not PM) and I'll either a) have a kit to sell immediately or b) put you on a waiting list.